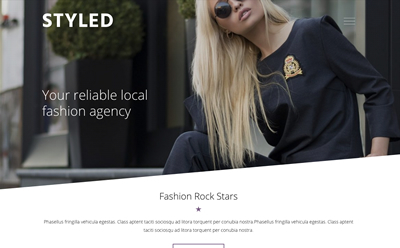 Styled is a great theme for those looking to build an attractive and engaging website that stands out for fashion agencies, cosmetics, magazine, music, movies and many more types of websites. Designed and coded to work flawless with WooCommerce you can build your eCommerce website easily. 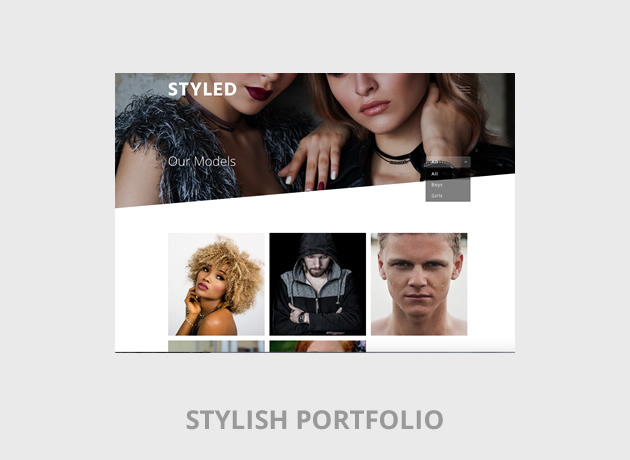 Styled comes with a powerful Home Page template that enables you to display featured content while keeping the clean look. The carousel can display your featured products or posts and pages. Showcase the models of your fashion agency, your team members or any type of work using the powerful portfolio. Create your filterable portfolio very easily and integrate attractive galleries inside each entry. Ability to display a different header image for each entry. Styled offers you the ability to have randomized header images. Simply upload your images into the Header and let the theme do the rest. You can also have a different header image for each page, post or portfolio entry. Styled offers you to easily change the main colors of your website directly from the customizer. If you’re looking to sell your products online, Styled integrates seamlessly with WooCommerce. With a clean layout and beautiful typography, the visitor of your website will focus easily on your products. Add links to your Social media accounts easily with the integrated Social Media menu. Styled comes loaded with 28 social media icons to have your visitors connect to you. Child theme is the recommended way to modify your theme. Styled enables you to create and activate a child theme with just one click.